BREAD will have all the goodness taken out of it under barmy new food rules. Ministers want to remove calcium, iron and other nutrients from the baking process. They have been added to white bread flour for the past 65 years to protect the nation’s health. But the coalition wants to ditch the legal requirement to make our loaves more wholesome. Experts warned the move could harm the health of struggling families living on the breadline by depriving young kids of the vitamins they need. The laws were brought in during the post-war ration years to get a hungry nation back on its feet. 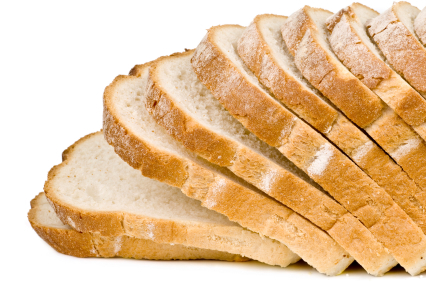 Bakers were required to add calcium, iron, niacin and thiamin to all their bread. But the coalition is consulting on tearing up the 1947 regulations, even though none of the producers has asked for it. Shadow environment secretary Mary Creagh added: “It is crazy to think of removing vitamins from our bread in the middle of a recession. “Many families struggling to provide food on the table during these tough times may not be able to afford to get these key nutrients any other way. Britons munch their way through 12 million loaves every day – three-quarters of them white bread. Bread is still one of our favourite foods, with 99 per cent of families buying it regularly. If the rules are changed, some fear shops will be flooded with cheap white bread stripped of any goodness. Experts from the government’s Scientific Advisory Committee on Nutrition, predict it will have a bad impact on young women and the poor.